Are you a leader? Do you want to make a difference? Do you like working outdoors? Then Commercial Beekeeping could "bee" for you! 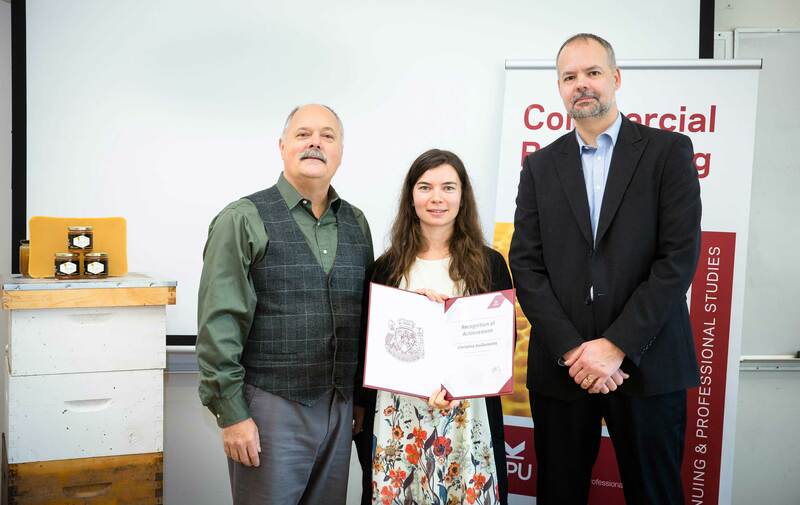 To prepare you for an exciting and rewarding career in bee farming, the KPU program will provide you the knowledge and skills to create and run a beekeeping business, which includes beehive management, financial planning, and farm trades, with a focus on specialty honey production and the blueberry pollination business. 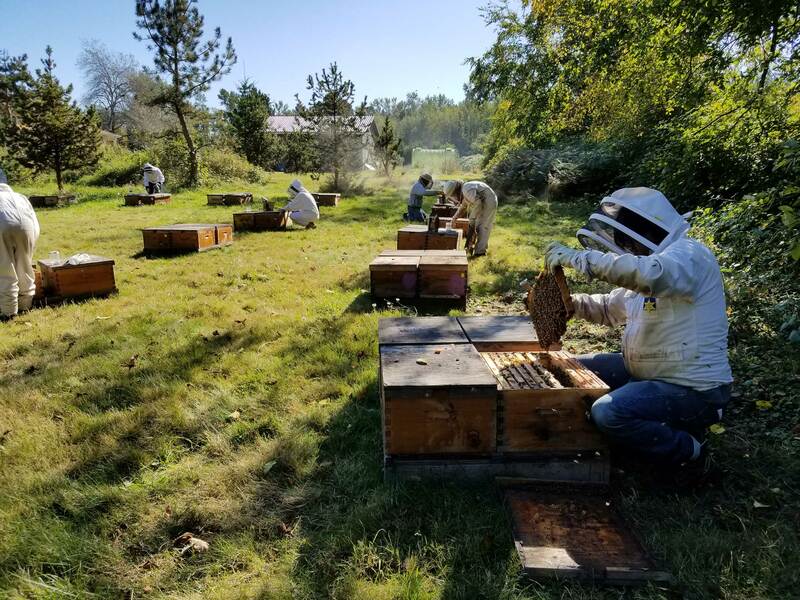 During session 1, from February to the middle of April, you will learn bee biology, beehive management, and bee livestock production, as well as how to produce and process honey, bee pollen, propolis, and beeswax. You will also learn how to start a business, how to finance it, and how to manage day to day operations such as bookkeeping, accounting, banking, and sales. The first part of the program also includes farm trades; basic carpentry, farm welding, forklift certification, first aid training, and small engine operation and maintenance. As the weather warms, you will be applying your skills to the 300-colony KPU bee farm in preparation for the summer season. Session 2 provides you with a golden opportunity to work for a commercial beekeeper to hone your skills. Starting in the middle of April and ending the third week of September, you will experience the full season of beehive management, from ‘waking’ the bees up in the spring to full-on hectic summer honey production to fall feeding and preparing the bees for successful wintering. The best part is you will be paid for all this fun and if you work full time, the money should cover tuition costs – what a deal! Session 3 runs from October to the third week of September. You will be back in the classroom and shop to create your own custom product line, which includes cosmetics, candle moulds, candles, healing ointments and more. You will prepare a business plan suitable for obtaining start-up financing for your new enterprise that includes a bee management plan, pro-forma income statement, capital budget, and cash flow plan. 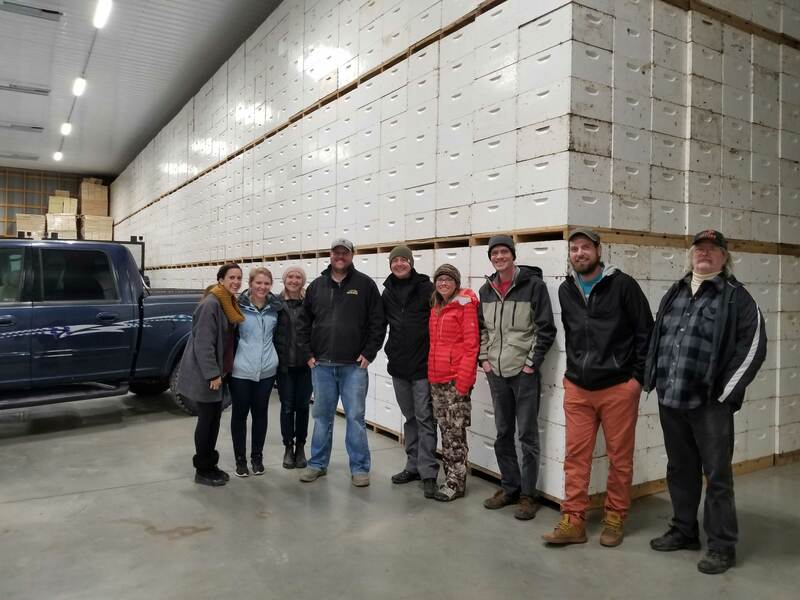 The highlight of the fall program is the 10-day field trip to Alberta to tour commercial beekeeping operations and to attend the Alberta Beekeeper’s Commission convention – the largest and most active beekeeping organization in Canada. 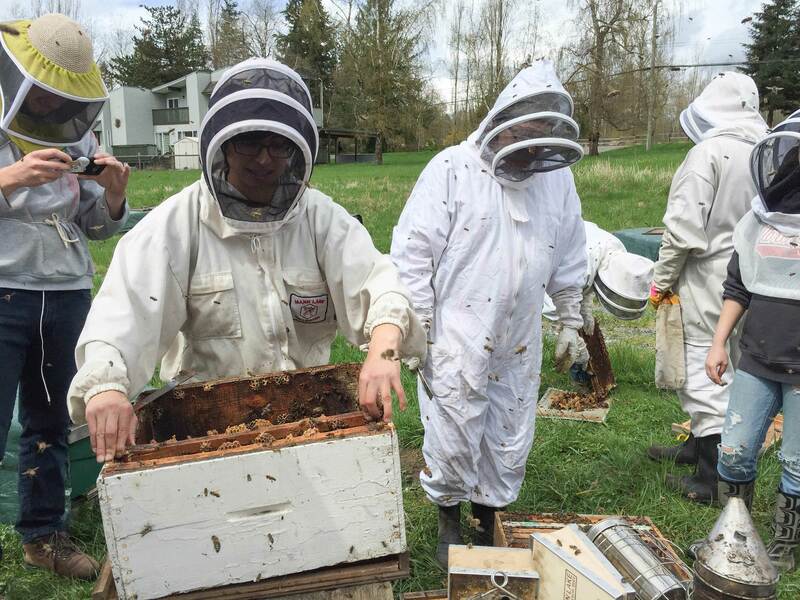 During your exciting year at KPU, you will also learn about non-traditional beekeeping revenue opportunities including bee livestock production, queen rearing, mead-making, nest removals (honeybees, bumblebees and wasps), and urban host-a-hive. You will learn about pollination brokering, selling wholesale versus retail, importing bees and honey, and exporting. You will also learn how to manage bees for bee venom therapy and how to integrate an apitherapy clinic into your commercial beekeeping model. 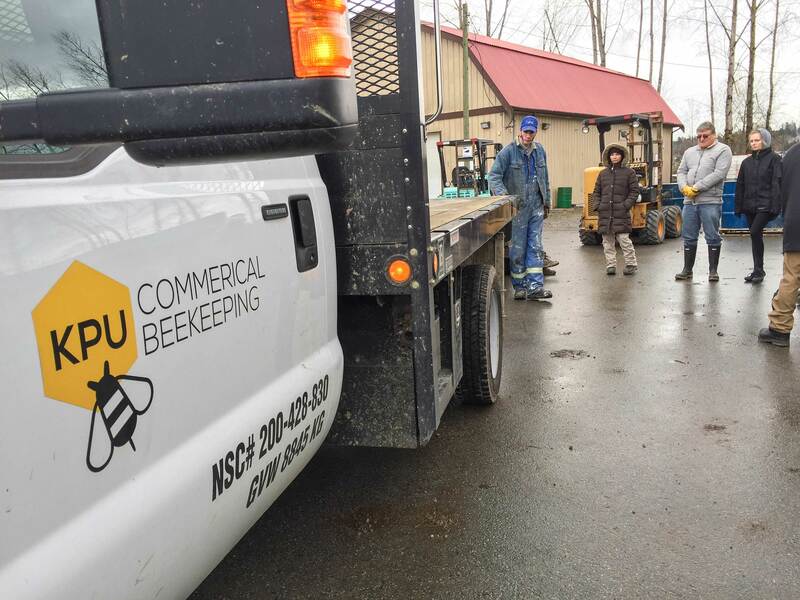 The KPU Commercial Beekeeping Program takes a holistic approach to farming that prioritizes hive health and includes business management and farm trades such as carpentry, welding, and fabrication. The program teaches a healthy respect for honeybees and farm animals and an appreciation of the issues surrounding food security and food quality. This career training is a non-credit university program. Classes are held at KPU Tech each morning from 9 am to lunch. Each afternoon from 1pm to 4:30 pm, students are either in the workshop at Honeybee Centre or working with bees in the field. This program is taught in English. Students should possess sufficient English reading, writing, speaking and comprehension abilities to participate in the course. Note: for the practicum work term, placements are available in English, Spanish, and Tagalog. Full boxes of honey can weigh up to 40kg (88 lbs.). Students should have a strong back and hands and be physically capable of lifting this weight. Students unable to do so may complete the program, but may not be able to find a summer practicum placement. Students should not be afraid of bees or be allergic to bee venom. Students are required to obtain their own transportation to classes and from KPU Tech to Honeybee Centre for shop and field work. Origin, castes, morphology, life cycles, metamorphosis, the nest as a superorganism, worker duties, winter bees, foraging, flight ranges, communication, dances, and pheromones. Plant structure, history of plant/bee relationship, plant identification, food crop identification, seasonal nectar flows, pollen quality, poisonous plants, urban plants, the effect of droughts and excessive rain. 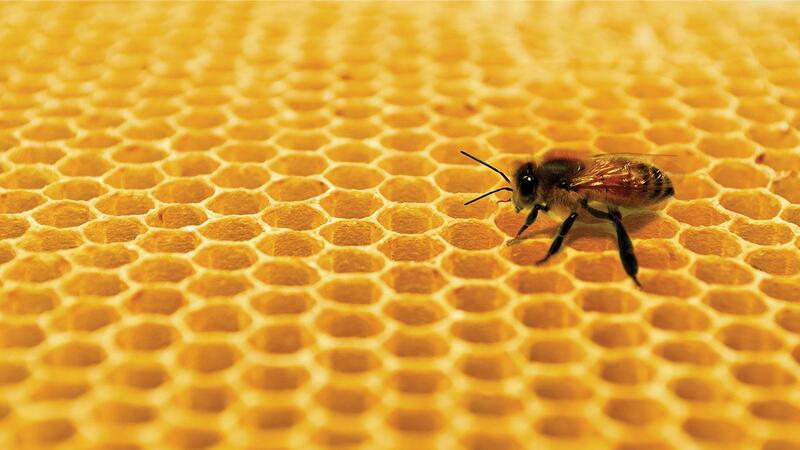 Hive components, suit & tools, hive types, frame types, foundation cell sizes, bee escapes, pollen traps, propolis traps, box press, box tipper, pallet styles, painting vs hot wax dipping, bee trucks, trailers, forklifts, cranes, transport nets, processing equipment – honey, wax, pollen, propolis, bottling equipment – jars, labels, safety seals. Getting started, purchasing bees & equipment, basic colony exam, preventing back injury, selecting apiary locations, apiary layout, package bees, the queen, swarming, supercedure, drone layers, laying workers, uniting colonies, equalizing, making increases. Single vs double brood systems, two-queen colonies, queen rearing, banking queens, marking queens, queen introduction, preparing bees for pollination, transporting bees, Supering, drawing foundation, chasing specialty honey, dearths, pollen and propolis collection and processing. Honey harvest, robbing, culling weak colonies, fall feeding, Varroa control, honey house design, extracting honey, facility and personal hygiene, properties of honey, heating, storage, creaming honey, bottling, de-crystallizing, removing honey from beeswax, processing beeswax. Planning for next season, ordering equipment and supplies, equipment repairs – boxes, lids, bottom boards, pallets. Equipment assembly and painting or hot wax dipping. Equipment maintenance – small engines, vehicles, honey processing equipment. Building maintenance and repair. Varroa oxalic acid dribble vs oxalic acid fumigation. International beekeeping opportunities – Africa, Asia, Central America. Varroa, AFB, EFB, Viruses, Nosema, Chalkbrood, bears, skunks, SHB, wax moth, rodents, ants. Grower sprays, neonicotinoids, monocultures, climate change, problem neighbors. Integrated Pest Management (IPM). Basic carpentry – assemble boxes, manufacture lids, bee escapes. Farm welding – manufacture box press, box tipper. Small engine operation and maintenance – grass trimmer, leaf blower, chain saw. First aid certification. Forklift operation and safety certification. Starting a business, incorporating, CRA business number, chart of accounts, and bookkeeping, invoicing, recording expenses. Expenses vs expenditures, expenses vs cost of goods sold. Payroll, source deductions, WCB, GST, PST, corporate income tax. QuickBooks tutorial with certification, beekeeping insurance, legal issues, Excel & MS Word tutorial. Bee management plan, pro-forma income statement, balance sheet, capital budget, cash flow budget, margins, key performance indicators. Business of pollination – contracts, negotiations, colony placement. Business of livestock production – queens, nucs, full colonies. Business of bee pollen, propolis, and wax production and processing. Business of nest removals, host-a-hive, servicing other beekeepers. Beekeeping software, bar codes, hive sensors, hive RFID tracking. Paid practicum employment with a commercial beekeeper (mostly Alberta locations). Unpaid practicum, one day per week working with an instructor, on the 300 colonies that KPU operates. Creating a business plan for investors and for bank financing. Developing detailed pro-forma income statement, internal analysis, and external analysis. Creating a marketing plan, financing options, business valuation, and exit strategy. Understanding KPI’s, debt comfort, and debt planning. Creating a product line, branding, label design, brochures, and sales channels. 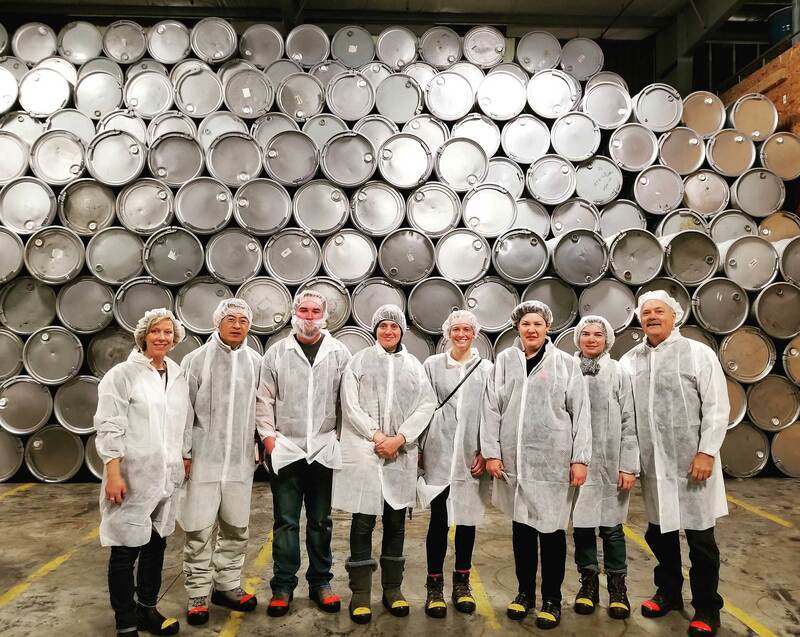 CFIA requirements – labelling, packaging, honey grades, exporting, and importing. Bar coding products, wholesale sales vs farm gate. Government programs and grants – Agriinvest, AgriStability, crop insurance. Government research grants – NRC, IRAP, and Alberta Innovates. Operating a bee venom clinic. Healing people and animals with honey and other bee products, bee nutraceuticals. Bee venom therapy – colony preparation, sting protocols, safety. Internal formulations – propolis tinctures, capsule making, apilarnil. External formulations – healing ointments, skin care, cosmetics. Aromatherapy, respiratory treatment with hive air inhalation. Candle mold manufacture, beeswax candle production, mead making seminar, using beeswax and propolis in carpentry and home care. 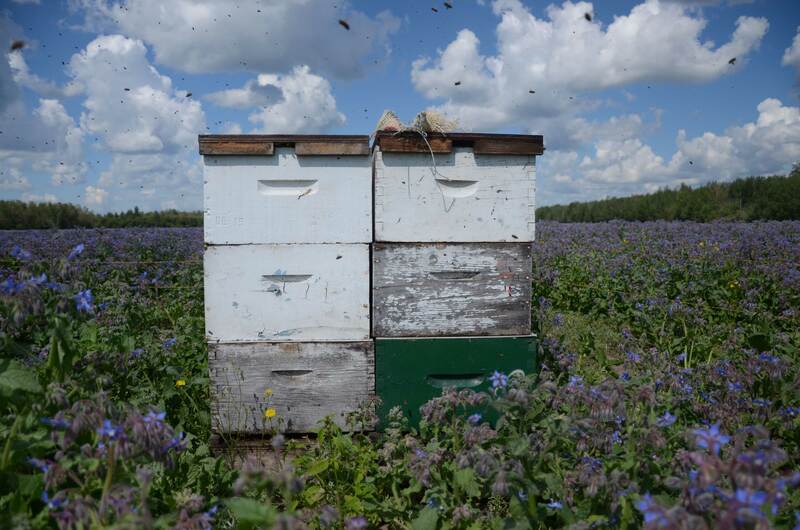 10-day field trip through Alberta visiting commercial bee operations of various sizes from 2,000 colonies to 24,000 colonies. Attending Canada’s largest beekeeping convention: three-day AGM for the Alberta Beekeeper’s Commission. The KPU Commercial Beekeeping Program is non-credit and will be graded based on Mastery/Non-mastery. This program demands a clearly defined high standard of performance, in which the student must demonstrate mastery of all knowledge and/or performance requirements. Because of the nature of this grading system, credits earned will not be used in calculating a grade point average. MAS = Master. Student has mastered a clearly defined body of skills and performance to required standards. For this program, Mastery is achieved with 65% overall average on written exams and a pass (50%) on trades. NCG = No credit granted. Student has not met the required standard for the course and/or has not participated to the required level in learning activities. Upon successfully achieving mastery in a course, students will be awarded a “Recognition of Achievement” document. MAS or NCG will be applied to the student’s transcript. Fill out the application on this website. Register and pay your non-refundable $1,000 commitment fee online (click on ‘Register Now’ link below). Note: International students should follow step 1 above and then wait for instructions from KPU International prior to registering. All registered persons will be contacted by KPU to confirm registration and to arrange for the balance of fees. The KPU Commercial Beekeeping program is open to applications from international students. Interested applicants are invited to apply by filling out the student application on this website. Eligible applicants will be contacted by the Office of International Recruitment and Admissions. 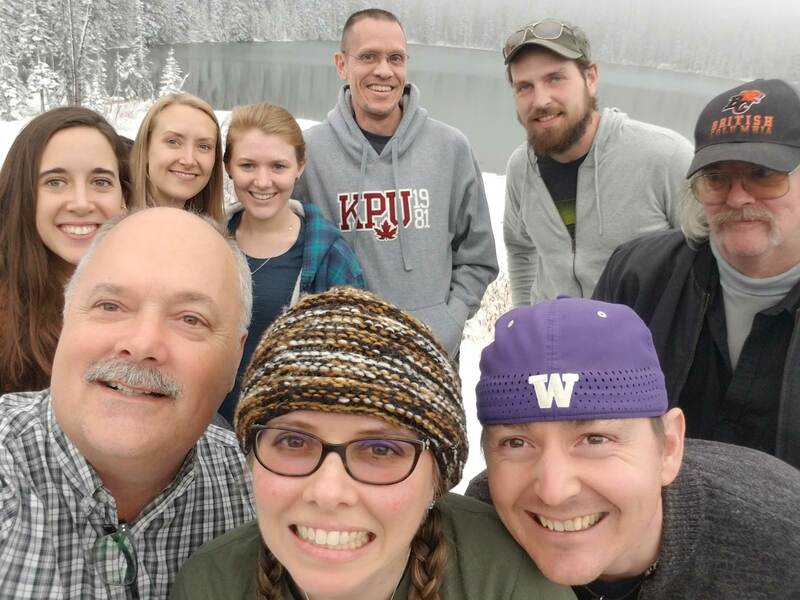 Since the KPU Commercial Beekeeping program is a non-credentialed program, international students are not eligible for a Post Graduate Work Permit (PGWP).